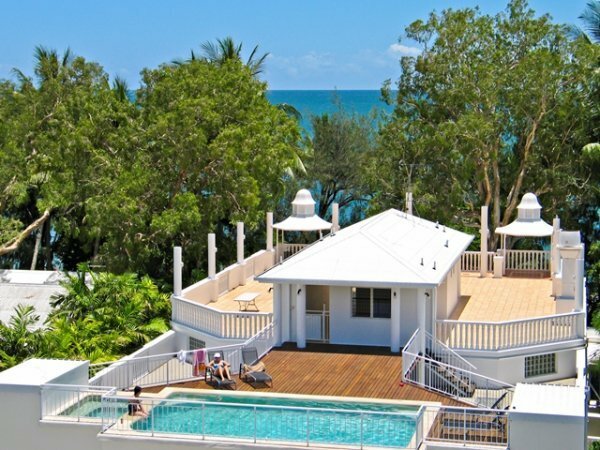 6.15pm – 7.15pm @ Sarayi Hotel Rooftop, Palm Cove. 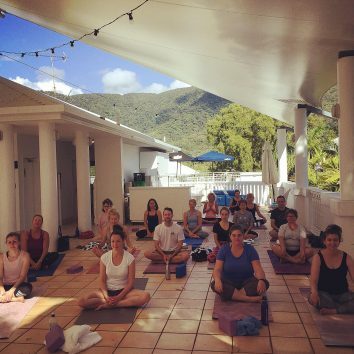 We are so thrilled to announce our third Beginner’s yoga course in a paradise setting- on Sarayi Hotel Rooftop, Palm Cove. In this course, you will be in a small group of yogis that will be coming together each week and learning at the same speed. You will be guided by Beth Hartig and Nicki Bailey to work at your own pace and with your breath. – You have been wanting to learn yoga for a while, and want a course that takes you right back to the basics. – You want to learn the fundamentals of yoga. – You are stressed out – we will teach you valuable relaxation techniques that will help you to manage stress. – You want to gain flexibility and strength. – You want to improve your fitness, but in a gentle way. – You want to feel GREAT as you start 2019! 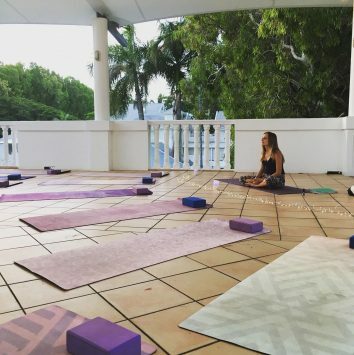 Also great for those that have practised yoga before, but want to go back to basics again to learn correct and safe alignment in postures, relaxation techniques and to get into the routine of practicing again. 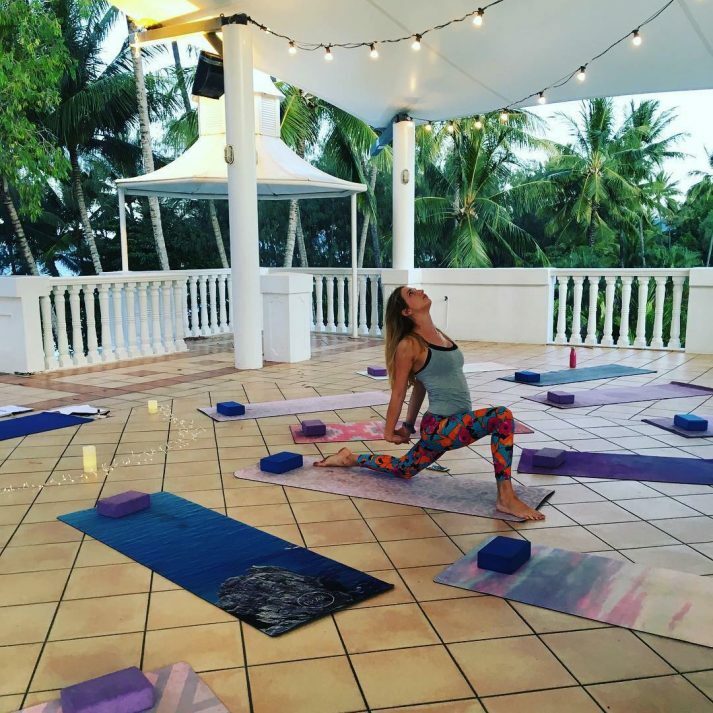 – Be able to join any of our Beginner – Intermediate Yoga Classes and have good understanding of some of the key postures and breathing techniques. – Have a handfuls of postures and a small sequence to practice at home by yourself. – Have met an amazing group people. – Feel more relaxed and equipped with the skills and knowledge to have a more peaceful, centered and healthy year. To book your place on this 5 week beginners course, please first contact Beth on bethanyhartig@gmail.com or 0421322691 to ensure there is still a spot available. Once a place has been confirmed, please follow the link below to book your spot. 2 weeks + notice. If you need to cancel your place at one of our programmes, you will be refunded 100% of your course fee. 1-2 weeks notice. If you need to cancel your place 1-2 weeks before the start of the programme, 80% of your fee will be refunded to you. 1-7 days notice. If you need to cancel your place between 1-7 days before the programme, no refund will be given. If for any reason we have to cancel a programme, all participants will be refunded in full.